Kathryn W. Harnish, 89, formerly of Willow Street went home to be with the Lord on Friday, February 16, 2018 at Landis Homes. 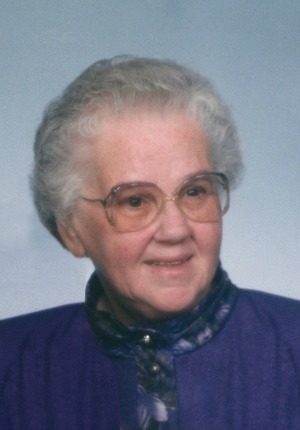 Born March 3, 1928 she was the daughter of the late Reuben and Bertha (Stauffer) Widders. She was married to her husband Parke K. Harnish for 64 years until his death in 2012. Kathryn and her husband operated an IGA store in the early years of their marriage. She worked for many years at Southern and Central Markets and for Herr’s Dry Cleaning in Willow Street. She enjoyed making baby blankets and quilts for her family, sharing produce from her garden, reading, playing games and completing word finds. She crocheted hundreds of hats that were sent overseas for newborns. She was a member of Willow Street Mennonite Church and participated in their Sewing Circle. She was a generous wife, mother, and grandmother who cherished times spent with her family. She is survived by two sons and their wives: Robert L. married to Brenda (Moser) Harnish of Croghan, NY, and Herbert L. married to Ruth (Breneman) Harnish of Willow Street; two daughters and their husbands: Kathy H. married to David E. Landis of Lampeter, and Debra J. married to J. Edwin Kilheffer of Millersville; a daughter-in-law, Jennifer K. (Straley) married to Dwight E. Rohrer, 10 grandchildren and 13 great-grandchildren. A brother, Irwin Widders of Lititz, also survives her. A son, Steven L. Harnish, three sisters, Edith Boll, Verna Noll, and Mabel Neff and a brother, Isaac Widders, preceded her in death. A Funeral Service will be held on Monday, February 19, 2018 at 10:30 A.M. at the Willow Street Mennonite Church, 399 E. Penn Grant Road, Willow Street, PA with Pastor Joe Sherer officiating. A viewing will be held at the West Bethany Chapel at Landis Homes, 1001 E. Oregon Road, Lititz, PA 17543 on Sunday evening, February 18, 2018 from 5:00 to 7:00 P.M. and at the church on Monday from 9:30 A.M until the time of the service. Interment in the adjoining church cemetery. I learned to know Kathryn through Gift Shop Consignment at Landis Homes. She donated many lovely crocheted items to be sold in our Gift Shop. Through that contact she became a dear friend and began crocheting baby caps for our church sewing circle and donated them for our layette bundles that went to Mennonite Central Committee. After she was in Rehab I visited her twice there and the last time I visited her was the Thursday before her homegoing to heaven on Friday. We had such a delightful visit, talking and laughing. I will always remember her as one special lady and I am so glad I was able to have met her. You folks had one special mother, grandmother and great-grandmother. God bless and comfort you. I am sorry for your loss of Kathryn. May you find comfort in God’s promise to reunite us with our dear loved ones that have fallen asleep in death. (Acts 24:15) As you contemplate that promise, draw close to God in prayer and he will draw close to you and give you the needed strength to carry you through the difficult days ahead. All the best wishes for your family at this time, take care.